We've added some new products to our already full-to-bursting range of animal-themed T-shirts. They're all made by The Mountain, a brand that makes T-shirts featuring animals using a quality 100% cotton fabric and a 100% chemical-free manufacturing process. 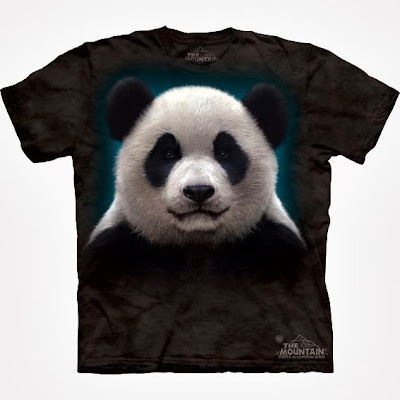 This is the 'Big Face' Panda T-shirt. These 'Big Face' T-shirts have been really popular, and we're pleased to finally add one to our panda-themed stuff page. And hes' a real cutie ain't he? 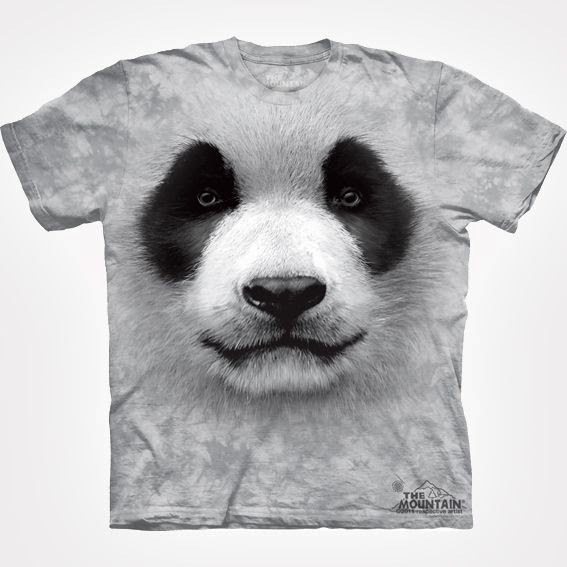 The panda's face is well illustrated complete with super-realistic fine details, down to the individual black and white hairs and shadows around the nose, giving it an impressive 3D effect. The face gradually fades away at the edges, enhancing the 3D effect well. It's available in adults' and kids' sizes. Our owl-themed products are among the most popular across all of our clothing and gift ranges - we've been selling loads of owl onesies, mugs, earphones and more. Perhaps we're riding some kind of post-Potter wave, or perhaps owls are just a well safe bunch of headspinning wise guys - we don't know to be honest, but we like it. 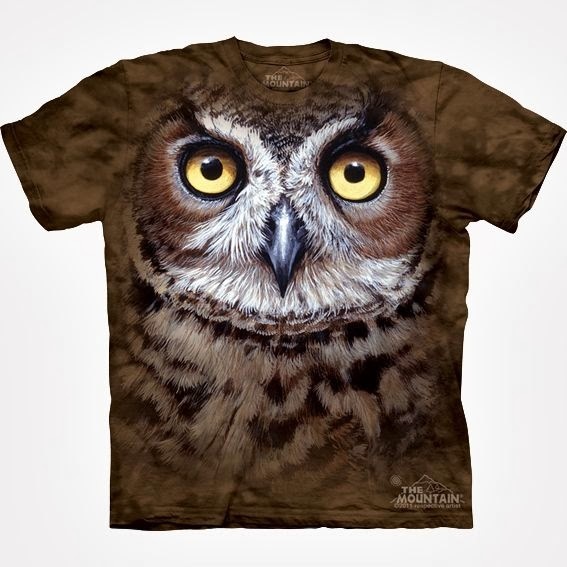 The owl T-shrit is again a 'Big Face' design - by which we mean that the owl's face covers the entire front chest area of the T-shirt, blending away gradually at the edges to give it a 3D effect. This one's only available in adult sizes at the moment (sorry kids) and you can get it here. Perhaps 'Big Face' ain't your thing, but pandas still might be your thing? If so, this has got to be the T-shirt for you. It shares the same super-fine detailed illustration qualities as the panda T-shirt at the top of this article, but the panda's backed off a bit and doesn't cover the whole T-shirt. That means you get some panda shoulders for your money, as well as face, and the background offsets the panda well. This guy comes in adult sizes and kids' sizes.